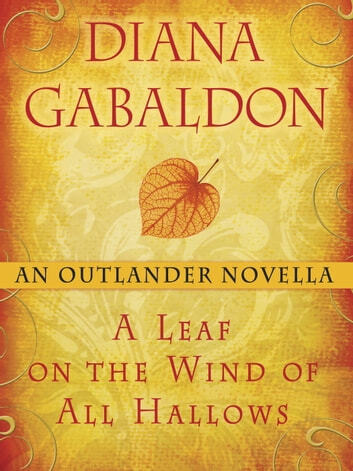 In this original Outlander novella, Diana Gabaldon reveals what really happened to Roger MacKenzie Wakefield’s parents. Orphaned during World War II, Roger believed that his mother died during the London Blitz, and that his father, an RAF pilot, was killed in combat. But in An Echo in the Bone, Roger discovers that this may not be the whole story. 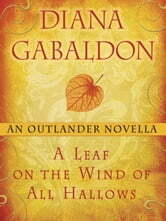 Now, in “A Leaf on the Wind of All Hallows,” readers learn the truth. OK NOVELLA-TIES UP SOME LOOSE ENDS RE: ROGER'S FATHER. As an Outlander series fan, I was very excited to learn the back story to Roger's parents. Mrs. Gabaldon stays true to her writing by giving beautiful detail and weaving those loose stands beautifully into the main story. Without spoiling the story, I will say that there were quite a few passages where characters interacted that was great to read. Interesting info on Rogers's parents! Very well written as is everything Diana writes! You can fill in some missing pieces. This is a very quick read focusing on Roger's father. I wish it gave a little more info, as it left me with questions. But it is always wonderful to read her descriptions and learn more about her characters. At only 96 pages it is quite a quick read.